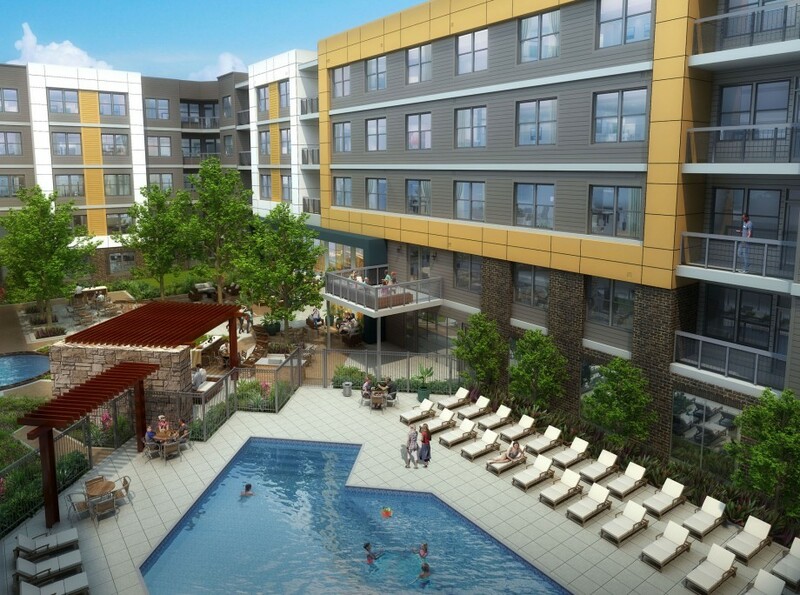 Lincoln at Discovery Square is an exciting, new 342-unit apartment community that offers easy access to all of northern Virginia, including Dulles Airport, Chantilly, Tysons Corner, Reston and Fairfax. Targeting young professionals and Gen Y renters, Lincoln at Discovery Square features a variety of amenities including a game room, club room, conference room, fitness center with a Yoga studio, a lush courtyard and a large pool and sundeck. The architecture is bold and contemporary. The innovative use of materials and color break up the buildings’ massing. The design emphasizes the common area gathering spaces and the neighborhood as an amenity. From golf courses to parks to movie theaters and dining, residents have plenty of options.